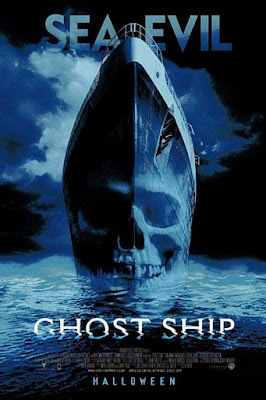 I enjoy a good tale of ghost ships. Ever since I had read about the Flying Dutchman and other tales of ships lost at sea I have had a morbid sort of curiosity about them. So when Ghost Ship from 2002 showed up on my TV and just starting, how could I say no? It was not a bad tale really. One we have seen time and time again in the movies. There is a wreck of a ship floating in international waters and a team of salvagers go out to claim it. One by one they experience strange things, see things and soon the dying starts. This one had a few interesting little twists. Emily Browning has one of her first ever screen roles as a ghost. The "cable death" is by far one of the more gruesome ones. Desmond Harrington's character is obviously Charon or something like him. This movie, and this story, is ripe for adventure seeds. In fact one of the reasons I wanted to watch this one was to scrape it for ideas for this White Star adventure involving a lost starship in a 'haunted" area of space.